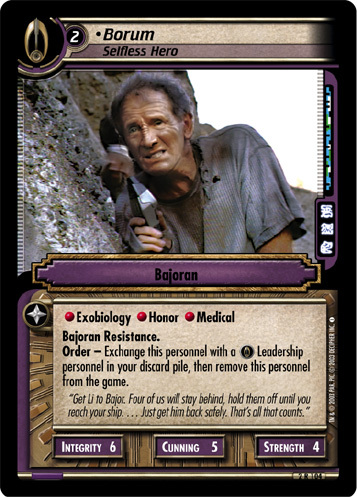 Order - Exchange this personnel with a Leadership personnel in your discard pile, then remove this personnel from the game. 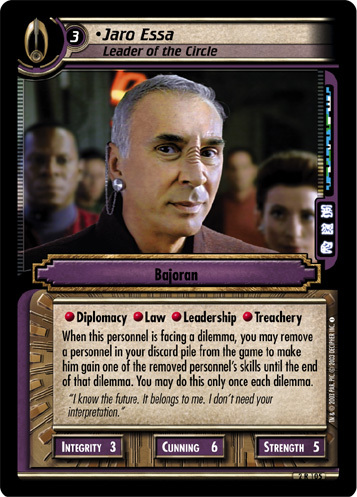 "Get Li to Bajor. Four of us will stay behind, hold them off until you reach your ship. … Just get him back safely. That’s all that counts." 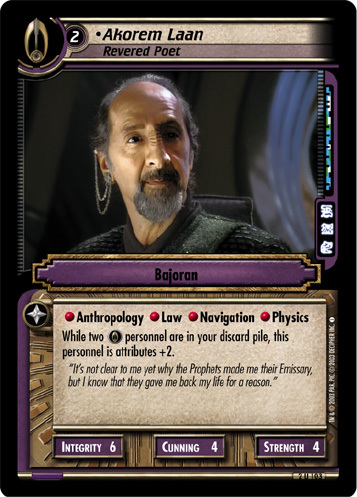 Image Source: Deep Space Nine: "The Homecoming (Part 1)"